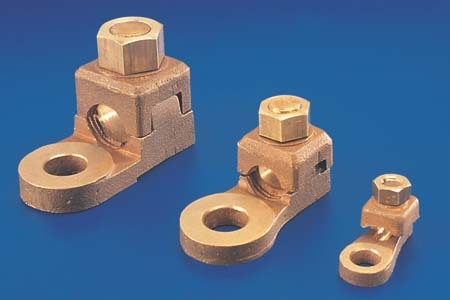 Features Bolted Copper alloy Lugs are a quick and easy way of making a connection on a normal or Flexible conductor. Palms are machined top to Bottom for bolting on either surface. They can be resumed multiple times. Barrels have internal corrugations in the clamp to assist with current transfer.